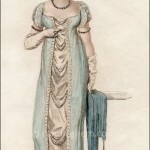 Ackermann’s Repository of Arts, July 1814. 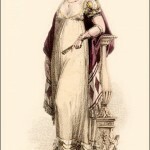 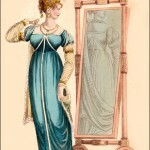 This print is an example of the exceptional skill of the engraver (and the original artist, who would have painted the design in watercolor, from which the engraving was made) in showing the transparency of the overdress. 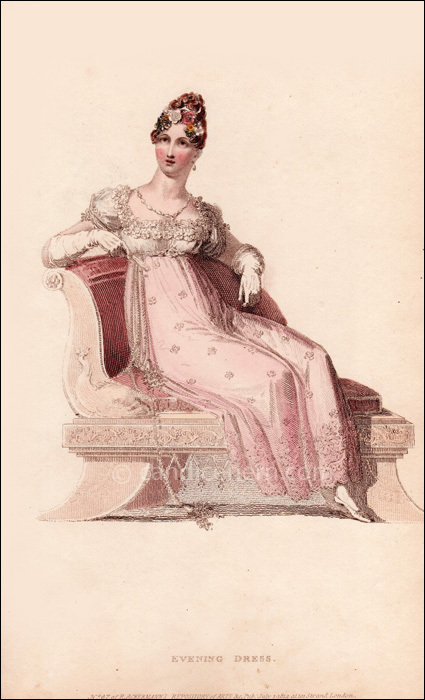 Ackermann included prints of new furniture styles in his magazine, and his fashion prints also often show glimpses of beautiful Regency furniture, as here.